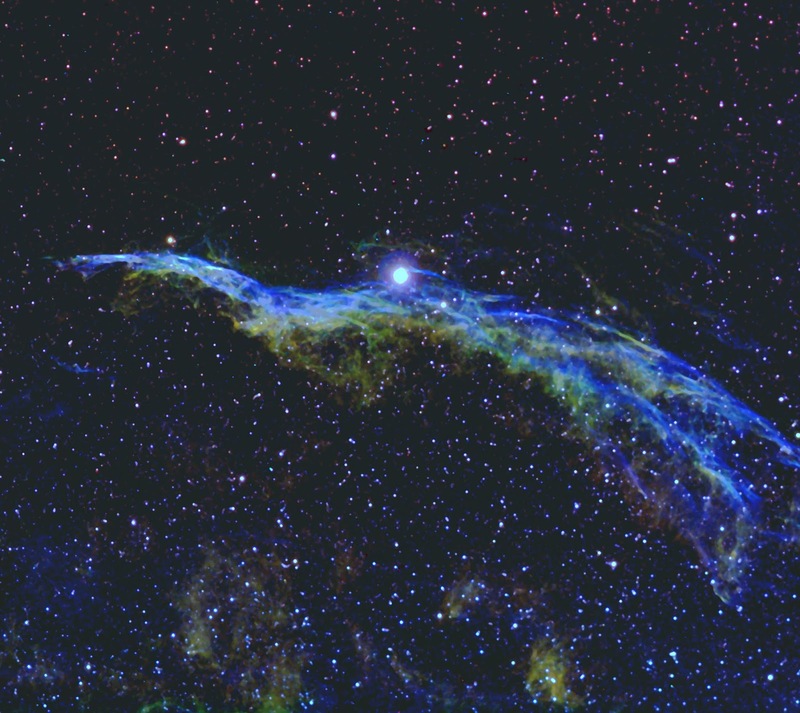 15x600s Ha,6x600s S11 binned 2x2 and 5x600s O111 binned 2x2 exposures in combination using the Hubble palette produced this image of the Western Veil, part of a supernova remnant in the constellation Cygnus. The camera a SxTrius 694,on a Takahashi 106 refractor. 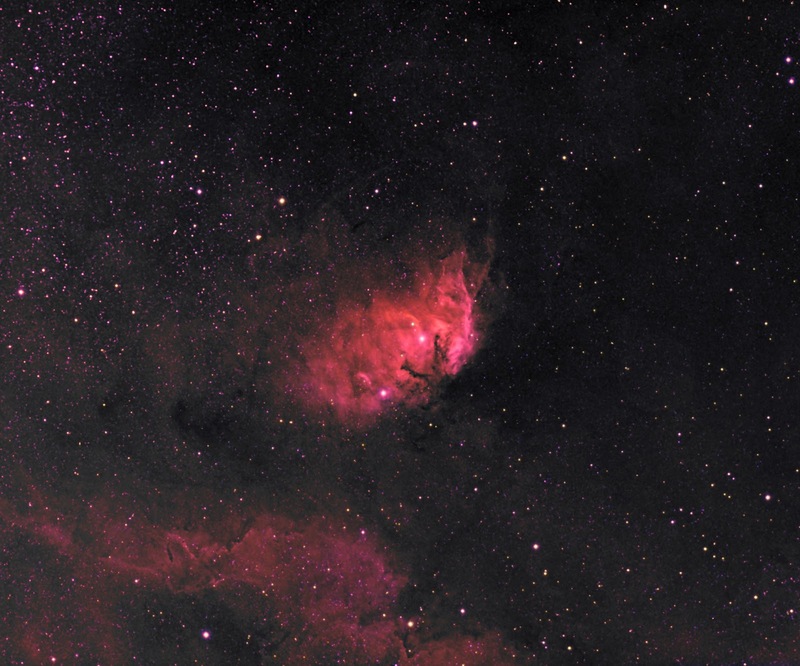 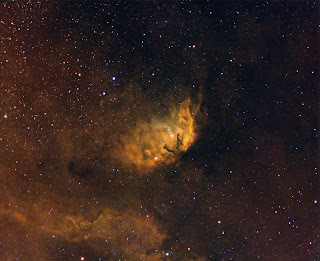 Sharpless 101 is a H11 region in the constellation Cygnus lying about 6000 light years from Earth. These images are the result of 6x600s exposures each for Ha, O111 and S11 narrowband filters taken on 14.0518 from Hatfield Woodhouse using a SX Trius 694 camera on a Takahashi 106 refractor.The yellowish version uses the Hubble palette assigning Ha to green,O111 to blue and S11 to red.